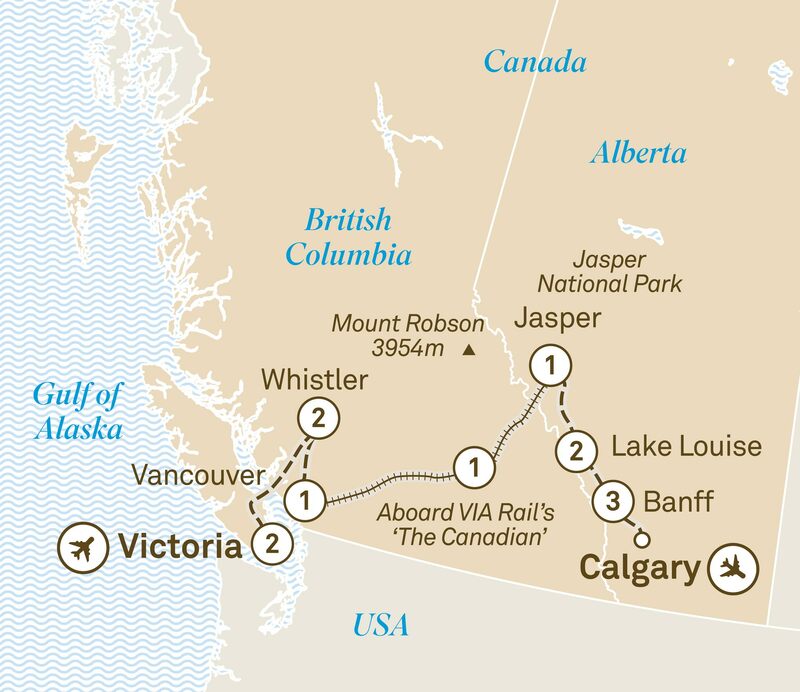 Spend a magical Christmas in the Rockies on this 13 day luxury tour from Victoria to Calgary. Stay at the iconic Fairmont hotels & enjoy a sleigh ride. From fairytale snow across postcard landscapes to elk that resemble reindeer, a Christmas in Canada is the perfect seasonal retreat. A ‘white Christmas’ will suddenly make sense and instead of one Christmas tree, you can look forward to vast forests of them. This itinerary will take you through a range of iconic Christmas spots, where you’ll get to absorb the unique holiday atmosphere permeating the region. Enjoy the lights at the beautiful Butchart Gardens, a magical place at any time of year, but especially so as Christmas arrives. Take a horse-drawn sleigh ride in Lake Louise and enjoy dog sledding at Banff, where you’ll spend Christmas at one of the Fairmont’s iconic flagship hotels, the ‘Castle in the Rockies’. It’s sure to be more than just an idyllic Christmas, but one of your most enjoyable in living memory. Your journey into wonder begins with a two night Special Stay at the exclusive Fairmont Empress. Tonight celebrate your adventures ahead at a welcome dinner. For a traditional Victorian experience, indulge in afternoon tea at the Fairmont Empress, or take a horse and carriage tour. History buffs may wish to take a walking tour of Victoria with a local expert. Later, enjoy the ‘Magic of Christmas’ seasonal theme at the Butchart Gardens, with ice skating, Christmas lights, holiday wreaths and carol singers.